Below is a portion of an article published recently. Having implemented multiple IT systems over time, the article is amazing. “A new Agency for Healthcare Research & Quality study found that health IT caused interruptions to clinical workflow across all participating clinics and work roles. For the study, researchers examined six ambulatory practices from two participating healthcare organizations, three each on the East and West coasts. A total of 120 clinicians and clinic staff participated in the study, which included observation and motion studies. Organization West rolled out a “clinical advancement project,” adding computerized provider order entry, e-prescribing, an electronic homepage and a standardized message center to an existing electronic health record. Organization East launched a new EHR to replace its locally developed system. 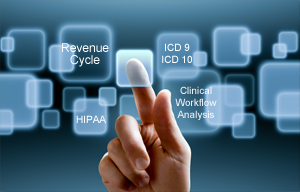 The results show that a number of work and workflow processes were altered after the health IT implementations. These included a redistribution of clinicians’ and clinic staff’s time on different clinical tasks, workspace used differently, more interruptions, multitasking and off-hours work activities. Researchers attribute most of these changes to the need for more structured documentation and shifts in responsibilities among clinical staff. To believe that a new agency needed to study the impact of healthcare IT on clinical and operational workflow would find flawless operational transition is naive; but many hints have been given us as to what did and did not happen in these clinics to promote success. First of all, there was no master plan for implementation. How do I know this? “Workflow processes were altered after implementation.” They were altered after implementation, because planning for needed changes in workflow necessary to support healthcare IT changes were not thoroughly considered prior to implementation. 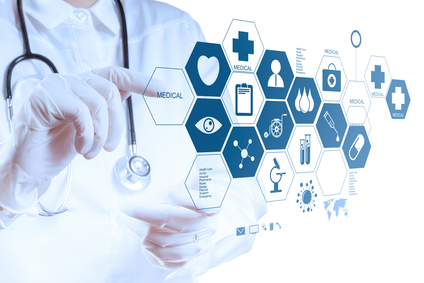 Healthcare IT upgrades need far more planning than the technical installation. Any IT success story includes a complete and thorough work-flow impact study with recommendations for change and improvements. Secondly, There was not proper training and testing. How do I know this? The interruptions, off hour work and increase of time needed to perform documentation functions points to lack of training and testing. Provider training must include more than instruction on the functionality of the products. Time must be spent with the providers discussing what the products are designed to do and how clinical work-flow changes can be accommodated to adjust to the design. You cannot plug in a product and expect no workflow changes. To do so is to risk success and patients. Thirdly, the staff was not given time to adjust to the order of events the upgrades required. Staff time on product not only to learn product, but also how products can be utilized successfully must be considered, tested and tweaked. Preparation is the key to success. Of course some minor changes can only be made in the live environment; but thorough knowledge of products and design of products will result in a better conversion and a happier staff. The expertise to successfully convert and implement IT products and services is not found within most practices. Clearly an investment of dollars and time in vetted consultants will reap huge rewards. Medical Management Services does this for many healthcare practices across the country. If you have any questions about your healthcare IT status, contact us for a FREE conversation. With numerous consultants that have years of experience there is so much to gain. Let us help you share in the success.